There are a large and growing number of Polly loco owners around the country. Following the success of Polly Rallies held at Nottingham, Bournemouth and Sheffield, an owners group has been formed. 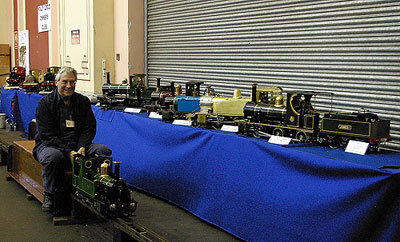 The group staged an impressive display of Polly locos at the London Model Engineering Exhibition in Alexandra Palace in January 2007 and various events are being arranged throughout the year. Please visit their new website www.pollyownersgroup.org.uk. Please let us know if you are interested, or perhaps willing to help with the group.